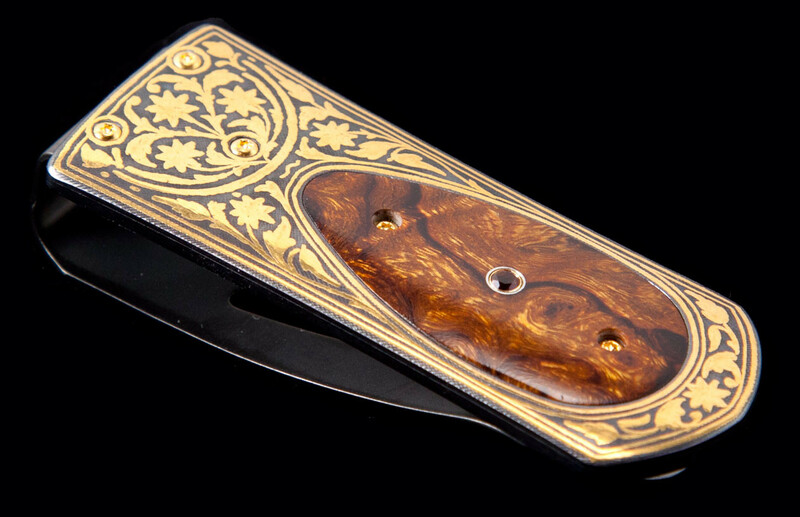 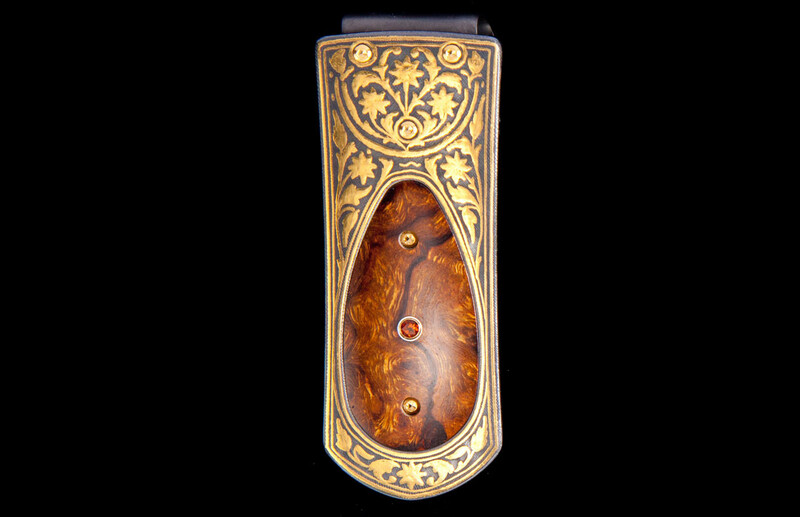 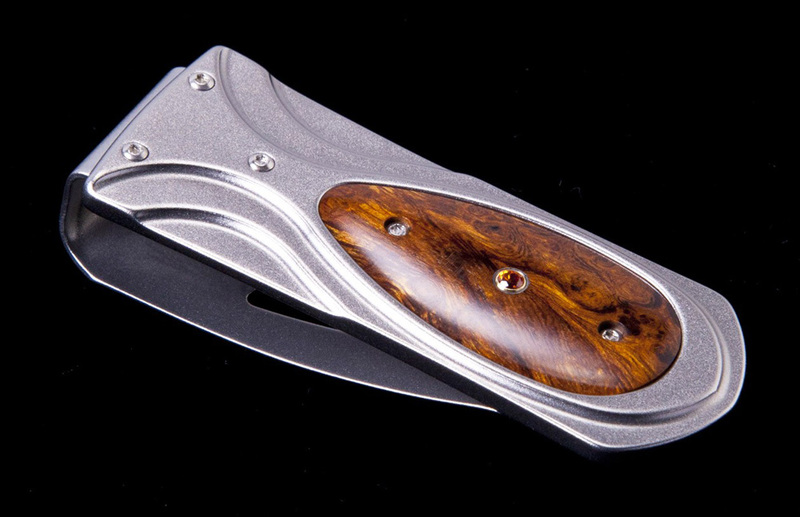 The Zurich ‘Fable’ is a beautiful money clip featuring a frame in 24K gold koftgari (the ancient Indian art of inlaying gold or sterling silver in tool steel), inlaid with desert ironwood, and punctuated with a citrine gemstone. 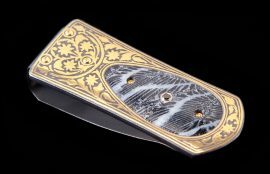 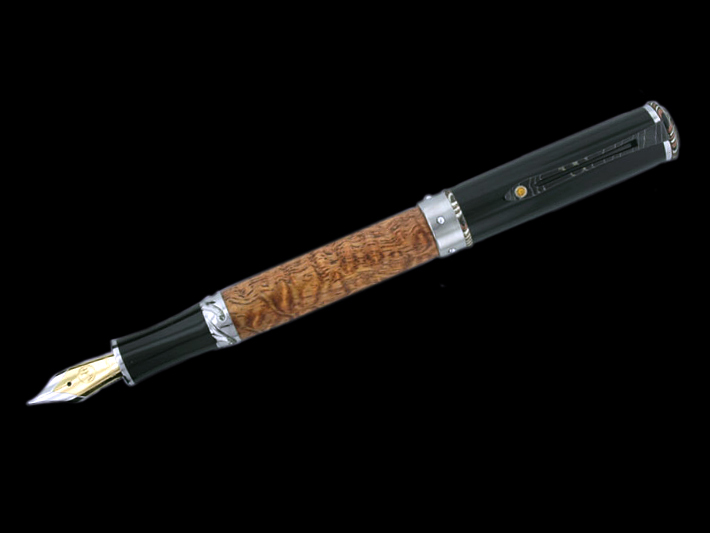 The clip is machined and polished from tempered stainless steel, with a beautiful engraving bright cut against the matte-finished background. 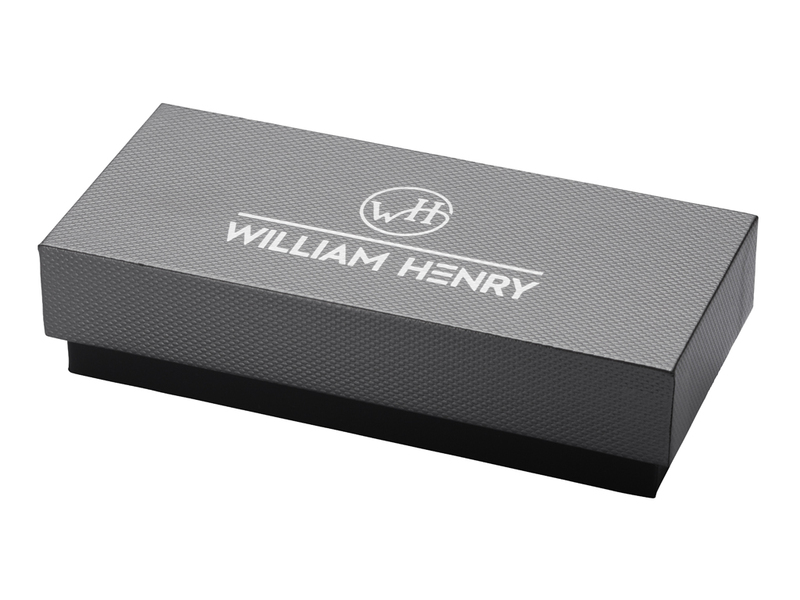 The ‘Fable’ money clip is a beautiful and functional personality statement featuring some of the unique materials and forged metals that are the hallmark of William Henry’s collections; a timeless heirloom to be proudly worn and used for a lifetime before handing it down to another generation.